Ken-CAMS is designed to evaluate several different factors in a matter of seconds and automates the task of loan decision-making with proprietary internal risk scoring reports that eases the burden on underwriters. It can be seamlessly integrated with Kensoft's enterprise loan management suite for unification with the powerful KenCloud rule engine. This credit rating system is developed for NBFCs engaged in the business of term loans, WCTL, bulk lending, retail loans and microfinance. This credit rating system offers a structured model for business loan appraisal with all required qualitative and quantitative parameters including financial viability ratios. All decision parameters including appraisal ratios are given out by the system with an extensive Deviation ↔ Mitigation matrix. This cloud ready solution is seamlessly integrated with our National Award winning enterprise lending suite for the BFSI sector. NPA provisioning is built into the system with asset classification and monitoring modules for managing business loans. Additionaly, this application system has CIBIL integration for using the credit score of borrowers in retail lending. The internal risk analysis and scorecards available have multiple parameters which are assigned a weighted score. An internal history of credit scores is maintained across these modules. Users can set their own parameters for quantitative and qualitative rating points while rating scores are tracked for new and existing customers. 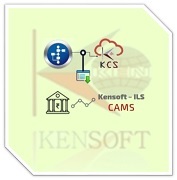 Ken-CAMS examines data with advanced algorithms for assessment right from the loan application's inception till it's technical evaluation and disbursement stage. Our rating modules in the enterprise application processflow results in lower credit risk and therefore improves the quality of the entire debt portfolio. Our PD module documents Personal Discussions as part of the credit appraisal system. 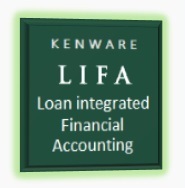 Our integrated loan & financial accounting modules have ACH registration and handling programs. Our Add-On modules include a comprehensive Lead management system for creating & tracking prospect engagements & communication with them. Our credit appraisal management system is developed on the world's best Oracle Databases and Fusion Technology with HA, reliability and extreme performance. It's application programs reduce process complexity in a range of ways, including replacing inflexible, hard copy rules with sophisticated, automated credit policies, risk analysis and various other process checklists. Kensoft's FinTech Applications are designed and optimized for the industry’s broadest and most integrated Oracle Cloud Platform. Kensoft Infotech Ltd. is a proud recipient of the CSI National Award for IT Excellence in the BFSI sector at the 48th CSI Convention. The award was conferred by Mr. J Satyanarayana, Secretary, Department of Electronics & Information Technology, Government of India, Mr. S V Raghavan, President of CSI and Scientific Secretary to the Union Government, Mr. Anil Srivastava, Joint Secretary to the Ministry of Civil Aviation & Chairperson along with other senior officials of the Government of India. There is a marked presence of industry stalwarts & IT experts at the CSI Convention, such as the CTO - Bank of America, MD - VMware, CIO - Wipro Ltd. and other esteemed dignitaries. The Computer Society of India has instituted this National Award for those who have implemented exemplary projects in the field of IT to meet their organizational goals and improve service delivery to the target segment. Formed in 1965, the Computer Society of India (CSI) has been instrumental in guiding the Indian IT industry down the right path since its formative years. Today, the CSI has over 73 chapters with more than 1,00,000 members, including India's most famous IT industry leaders, brilliant scientists and dedicated academicians. The finalists and star participants were Datamatics Global Services Ltd, Mahindra & Mahindra Financial Services Ltd, Union Bank of India, Kensoft Infotech Ltd, Tech Mahindra, Bharat Heavy Electricals Ltd, iGate, IBM, Reliance Infra and other corporations of distinguished stature. 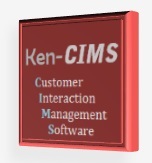 With Ken-CIMS (Customer Interaction & Monitoring System) your NBFC/Financial Institution can reach out to thousands of customers from varied demographic and geographical segments. This Cloud Application is developed with pro-active alerts & information decimation to customers for better handling. Designed with electronic uploading & a self serve facility - Loan application by a customer is online. It has an advanced Web Services Portal with InConnect + OutConnect Dashboards for CRM.